What's Wrong With Your Staircase? Over time we can become blind to things. We get so used to seeing something that we don’t even notice it anymore. I have a small wooden stairway that leads up to my house. It has been deteriorating for the last few years now, especially the railing. For various reasons, I have put off fixing it, and pretty soon I didn’t even notice it anymore. I stopped seeing the glaring problem that was right in front of my eyes every single day. That is until we have guests into our home, which is quite often. 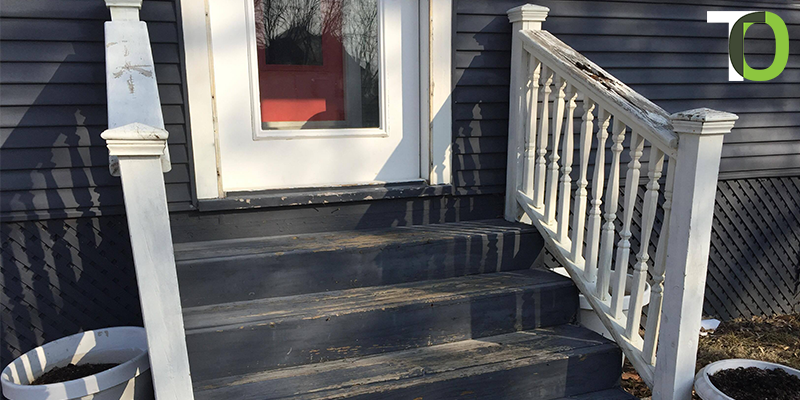 Almost every guest who comes into our home tells me about the railing that is falling apart. It is a fresh set of eyes and a new perspective that makes me aware of the problem. Ministry is very much the same way. We spend everyday at the same church and in the same ministry that we become blind to the problems that are all around us. And if we don’t see the problems, then we definitely can’t take the necessary steps to correct them. Every church has problems. Every church has changes that they need to make in order that they might serve their community more effectively. Do you see the areas in your church or ministry that need addressed? Maybe you just need a fresh set of eyes and a new perspective to help you pinpoint the problems, and give you some practical steps toward overcoming the problems that you are facing. I don’t know a lot about building staircases and repairing railings, but I do know some people that I can call. People that can come over and tell me exactly where the problem areas are, and what steps I need to take to repair them (pun definitely intended!). It doesn’t make me less of man that I don’t know what I need to do to repair my stairway. What matters is the safety of my family and the guests who come to our home. It also doesn’t make you less of a pastor or leader that you may not see the problems in your church or ministry, or are unsure of what steps you need to take to correct the problems that you have. Just as I have people that I consult about the physical needs of my home, I have people that I ask to regularly come to my church to see what I may not be seeing. I am so thankful for those that have come into my life that can tell me about the problems that my church has. If I can be a fresh set of eyes and a new perspective for you and your church, I would love to help. Just let me know how I can serve you. In my next article, I will share with you some of the problems that our church had/has, and what we did/are doing to correct the issues that we were/are facing. Now, it’s time for me to go and repair this stairway.